Filled with clear and practical solutions, this step-by-step, room-by-room guide to simple home modifications helps seniors make their homes safer and easier to navigate. 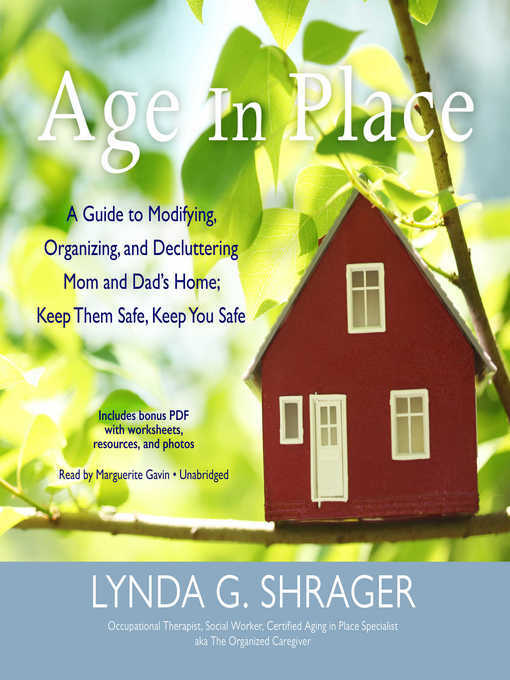 Lynda Shrager is a registered board-certified occupational therapist, a master's-level social worker, and a certified aging-in-place specialist (CAPS) with more than thirty-seven years' experience in the field of geriatrics and more than thirteen years working with seniors in their homes. It is this mix of qualifications and experience that makes her an expert in adapting environments to increase patient safety and independence. Age in Place is designed to help seniors and their caregivers address these new challenges together and make life at home safer, more manageable, and less stressful for all.